Having multiple output streams for your station has never been easier. 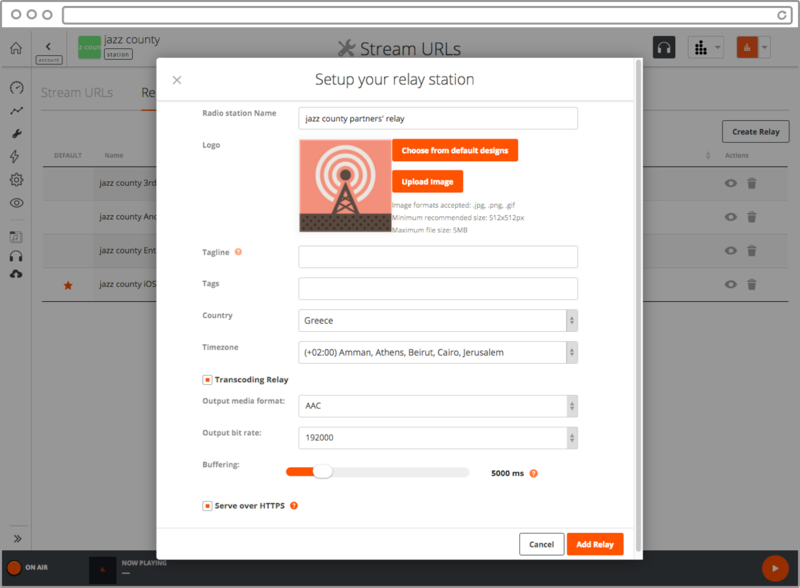 Radiojar offers you the chance to instantly create secondary relay streams for your station. Use each one to gain full control over the content served, based on your Listener Filtering settings and Digital Audio Ads integration. Dedicate streams to mobile apps and online directories. Serve different promos or ads. 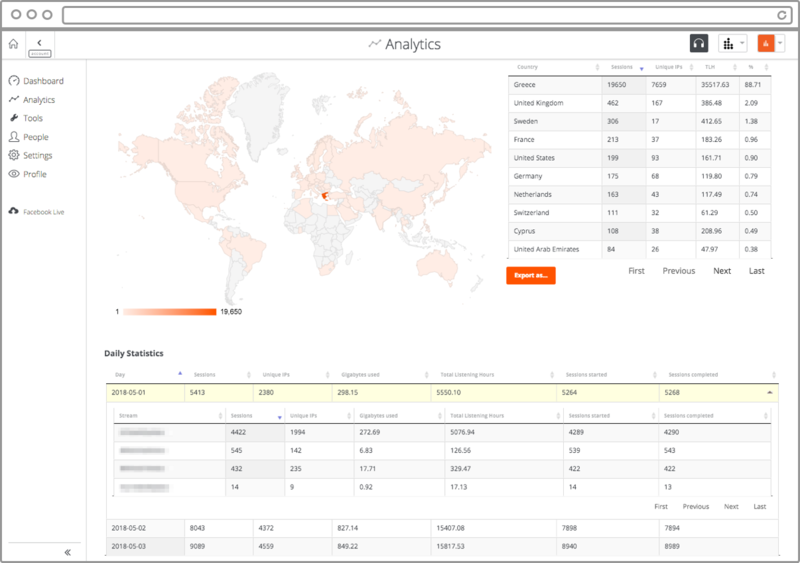 All relay streams’ statistics, whether referring to listeners’ numbers or digital ads’ reporting, are displayed both collectively along with their master station’s data and separately for each one.